The sacred month of Ramadan has bid us farewell. While most of us saw our honored guest away with sadness, the Shayateen must have been be anxiously awaiting its end. We all know from the following Hadith that during the Holy month of Ramadan they are chained. The Prophet Peace and Blessings of Allah upon him, said, “When Ramadan enters the doors of the Heavens are opened, the doors of Hell are closed, and the Shayateen are chained.” (Bukhari, Muslim, and others). Hence they must have been looking forward to its end so that they can be unchained. With Ramadan’s end they are not only free from their chains but they also start their mischief afresh. They do their best to entice the Ummah into explicitly disobeying the commands of Allah. 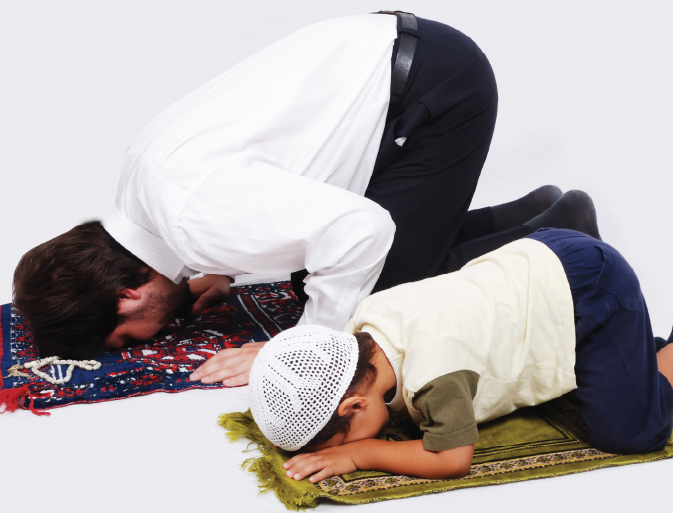 Consequently, drastic changes in the behaviour of many of the the Muslims can and often does occur. The Masajid becoming empty while the malls become full to the brim. The Qur’an recitations stop while the TVs are switched on and watching of the movies and listening to the music will start in full swing. The gatherings of the Qur’an Tafseer (commentaries), Dars (lessons) and Bayans (Islamic lectures) in the Masajid cease while mixed gatherings, parties and un-Islamic celebrations resurface. The glances that have been lowered rise up again and that which is ‘haram’ in the Shariah is looked at. Our attachment to the smartphones return to its pre-Ramadan levels and once again the virtual world of the social media becomes our second home. Islamic attire like Thawbs (kanzus or jubas), burkas, hijabs, niqabs, topis (caps) and turbans disappear back into the wardrobes while from the same wardrobes emerge jeans, T-shirts, tight skirts and blouses, sarees and other un-Islamic clothing. Faces that started to growing beards, as per the Mubarak Sunnah of Prophet Muhammad (?) suddenly emit the odours of the aftershaves. The tongues lose their restraint and the vices of lying, gossiping, backbiting, slandering, quarreling, etc. reemerge. The believers’ hearts that have softened in Ramadan again harden and their generosity levels drop. In short, our piety levels dive and we start going against the commands of our Gracious Lord, Allah the Lord of Might. What is described above is just the tip of the iceberg. The situation could become much worse than that. It’s just like a person who has painted his house for a certain occasion and as soon as that occasion is over he voluntarily goes and brings a lorry load of filth to splash it all over his house and bring it back to its original state (or even worse). No sane person would do that, would he? Shayateen are not the only ones to blame for these deplorable changes in our daily lives. They can only act if they are given leeway. We have to be strong in resisting their manipulations and also in not giving in to our Nafs ( ego, wicked inner self). Allah has created some fruits and flowers that are seen in certain seasons only and we call them seasonal fruits or flowers. However, He has not made us ‘Seasonal Muslims’, limited to attaining piety during the period of Ramadan only. Neither are we ‘Fractional Muslims’ meaning leading a life of ‘real Muslims’ for one-twelfth of the year and becoming ‘Muslims by name only’ for the rest of the eleven-twelfths of the year. We are twenty-four seven Muslims meaning we have to remain Muslims and obey the Commands of Allan as per the Sunnah of His Beloved Nabi Muhammad (?) throughout all the months, all the seasons, at all times like the goodly tree. It is only that Allah with His infinite Mercy has provided us this month of Ramadan to elevate our status. Ramadan is actually a kind of training ground for us so that we get trained to be proper Muslims for the rest of the year. Do not let Shaytan rob you off the treasures you may have acquired after sacrificing a great deal during the Blessed month of Ramadan. May Allah protect us all and inspire us with the intention and ability to uphold His commands until we meet Him. Allah the Most High knows best.